The year is flying by - as it always does when you are busy - and everyone I speak to says the same! Lately we've been busy with a very big funding round, deciding where to allocate our additional Budget funds, issuing RFPs, and having lots of conversations about even better collaboration with other entities to increase our impact. We are really delighted with the six projects we've been able to support from the $4m additional funding. It's a great opportunity to demonstrate how we can better reach under-served audiences with more resource. You can read more about what we are supporting here. We are also enjoying working on the RFPs for the Innovation Fund with RNZ. You'll find more detail on all the RFPs in this newsletter. We hope you've been enjoying our Suffrage 125 content, funded through an earlier RFP. All bar three of these projects celebrating 125 years of women's suffrage have been released, providing a brilliant range of perspectives on many different platforms. There's more about this collection in this newsletter. Finally, we welcome to the role of Minister of Broadcasting, Communications and Digital Media the Hon. Kris Faafoi. We look forward to working with the new Minister and the Ministerial Advisory Group to continue delivering great public media. The second round of the financial year was for production applications intended to reflect and/or appeal to targeted audiences. It is the major round of the year where content for these audiences is supported so not surprisingly the funded projects are hugely diverse! There were 205 total applications in the October round seeking over $71 m. We funded 72 applications (including 15 for HEIHEI). As always the quality was very high and we considered every proposal in minute detail to choose the very best range of content to support. Only 28% of Factual and Scripted applications were successful, which goes to show how increasingly tough the decision making is. We were particularly delighted to support two projects spotlighting the disability community for prime time slots. Public media is a powerful medium for increasing understanding and belonging - and there's no better place for this than prime time with its huge mainstream reach. The new content boost coming to HEIHEI is particularly exciting. There's lots of laughs and learning to be had, with DIY science featuring strongly in several proposals. There's also new regional drama, animated Asian-heritage storytelling, and a wide selection of factual content - including an observational doco series on young horse riders. The bar graph below shows how we are tracking in the four streams of the NZMF with three funding rounds to go. The December round is for General audiences with a focus on specialist current affairs series for 2019 and Spoken Word and Radio series for 2019. Deadline is looming - 18 October! 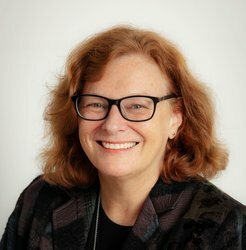 Diverse Journalism projects from the new $6m RNZ/NZ On Air Joint Innovation Fund. They have different deadlines so please read each RFP on our website here. 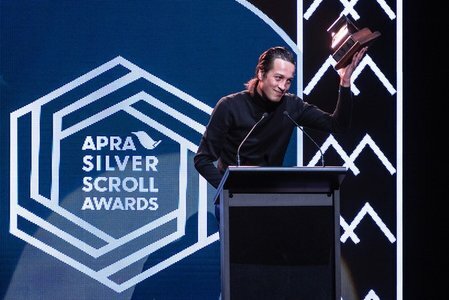 Very hearty congratulations to Marlon Williams who was awarded the prestigious APRA Silver Scroll this year for the incredible song Nobody Gets What They Want Anymore, also featuring Aldous Harding. This song was one of the singles from the NZ On Air Project-supported Make Way For Love album. The stunning Silver Scroll ceremony featuring re-interpretations of all nominated songs was held in Auckland on Thursday 4th October. The performances were music directed by Bic Runga this year and were filmed, along with many of the speeches from the night. Many of these can be found via the RNZ website here. We very are pleased to be supporting this extended celebration of NZ music this year! We’ve seen a great run of New Music Project-supported releases in the past few weeks, including the new self-titled album from Anika Moa, the very danceable debut album Seasons on Planet Earth from HIGH HØØPS , the huge debut album from Mitch James, The Chills acclaimed new record Snow Bound , Pacific Heights' majestic A Lost Light, the super smooth LA Women ep I was admiring her through a series of precision cut mirrors, and the latest Rhian Sheehan masterpiece A Quiet Divide. Forthcoming Project-supported releases to look out for include collections from Mel Parsons, Openside, Racing, Tiny Ruins, Alae, Yoko-Zuna and more. These are all multi-song projects that have been supported through the New Music Project scheme, which takes a more co-ordinated approach towards music investments, and allows more funding resource for artists and labels to promote their music to audiences. We are currently involved with two pieces of research, and we want you to know about them in case you are contacted. Both are being conducted by Colmar Brunton. This project is being undertaken in partnership with Creative NZ to understand the pathways, training, mentoring, hurdles and financial aspects of pursuing a career in the arts in NZ. For the purpose of this research you are considered to be a "creative professional" if you make some or all of your income from a creative pursuit - such as screenwriting, music, directing, producing, acting etc. We survey a randomly selected group of our stakeholders every couple of years to understand your needs, how we are doing, and how we could do better in assisting you. NOTE: Both surveys are undertaken online, and we do not know who is surveyed. We receive aggregated results in a report. If you are contacted by Colmar Brunton about either of these surveys we would really appreciate if you could take the time to complete it. Both sets of information will be hugely informative to our work. On September 20th we hosted our first regional media hui - bringing together regional content creators from all over the country to pool ideas, learn new skills and impart wisdom. 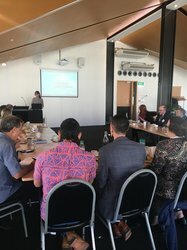 The hui was a fantastic day - with speakers Anna Dean (Double Denim), Dr. Gavin Ellis, Kaitlin Ruddock (One News), John Barr (RNZ) and our own Head Of Funding Amie Mills sharing knowledge ranging from how to engage online audiences to how to form content-sharing partnerships. We look forward to seeing the day's learning enrich the work of our regional media providers, and we thank them all for taking the time to attend our hui. 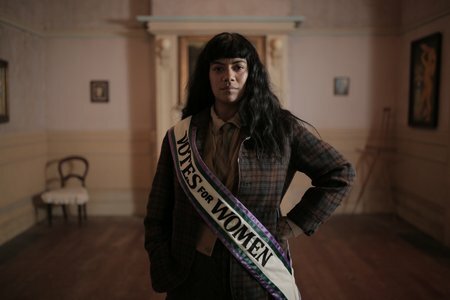 September 19th marked the beginning of an incredible month of content celebrating the 125th anniversary of women winning the vote in New Zealand. With local content made by, for and about diverse wāhine from all walks of life, it's been a pleasure to see women and their stories recognised and celebrated, on such a wide range of platforms. If you missed any of these remarkable projects we highly recommend you check out our special Suffrage 125 collection, available on the Watch and Listen section of our website now. Congratulations to all the finalists in the NZ Web Fest awards for 2018. We are especially pleased to see a wide range of different projects acknowledged, and delighted that so many of them were funded by NZ On Air. Winners will be announced at the #NZWF18 Awards in Auckland on 17 November. The full line-up of #NZWF18 Award Nominees is now live at http://www.nzwebfest.co.nz/nzwf18-award-nominees/ . In 2019, Aotearoa New Zealand will acknowledge 250 years since the first meetings between Māori and Europeans with a national commemoration called Tuia – Encounters 250 (Tuia 250). Tuia 250 is about people and place – what brought us together, what challenges we face and how we will weave our cultures and values into a future we will be proud to leave for our grandchildren. $9 million dollars has been allocated by Government via the Lottery Fund for community initiatives that support the kaupapa of Tuia 250. You can read more about the criteria and how to apply on the Community Matters website. 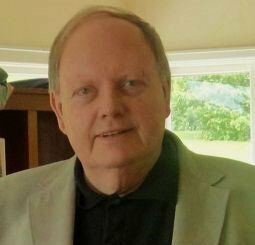 We note the passing of Jim Stevenson, who died in Auckland on 3 September aged 70. From 1991 Jim was our deputy chair and was instrumental in devising the funding model for NZ On Air in his previous role at the Ministry of Commerce. He also helped established Access Radio. Jim had a diverse and distinguished career in law, government diplomacy, regulatory reform, civil service and had an abiding love for the arts, which fed his wicked sense of humour. Ahikāroa 2, 40 x 26 mins, Kura Productions for Māori Television, up to $950,000 A Māori bilingual web series which follows the trials and tribulations of best friends Smooch, Hemi and Geo. 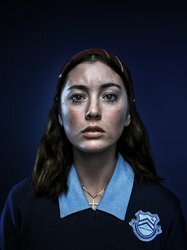 Mystic, 13 x 28 mins, Libertine Pictures for TVNZ 2 and HEIHEI, up to $1,000,000 An international co-production, adapting the international best-selling book series Pony Club Secrets. A Tātau Kōrero: Stories Of Tairāwhiti, 30 x 3 mins, The Gisborne Herald for The Gisborne Herald, up to $50,000 Members of the diverse Tairāwhiti community reflect on their heritage and identity in the lead up to Tuia – First Encounters 250. Attitude 2019, up to 26 x 29 mins + 15 x 5 mins + 10 x 10 mins, Attitude Pictures for TVNZ 1, up to $1,935,900 Immerse yourself in the engaging stories of people who live with a disability. Fresh 2019, 35 x 23 mins, Tikilounge Productions for TVNZ 2, up to $1,734,630 Fresh 2019 is packed with more comedy, more Pasifika celebration and more celebrity Polyswag! Legend – Te Tautohito i te Moana, 1 x 90 mins, Tawera Productions for Māori Television, up to $190,000 For 600 years the world’s greatest navigators lay dormant - today that knowledge has been reclaimed. Living With Tourettes 2, 6 x 44 mins, 2B Media for Prime, up to $529,000 New and returning Tourette’s sufferers share their struggles and triumphs in the second season of this inspiring documentary series. The NZ-VR Project, 10 x 5 mins, Kowhai Media for NZ Geographic, up to $320,152 A new media series that explores remarkable New Zealand locations in virtual reality and through written, photographic and audio content. Victor 4 Company, (editing) 1 x 47 mins, ILA Film Productions for Māori Television, up to $11,500 The powerful and affecting stories of four Māori veterans who served in the Vietnam War. Vapnierka (additional ), Te Amokura Productions for Māori Television, up to $15,000. Māori have long harnessed the power of name as an embodiment of power, this is a story of legacy, loss and leadership. Kiri And Lou 2, 32 x 5 mins, Field Theory for TVNZ 2 and HEIHEI, up to $1,438,691 An animated series about empathy, hand-crafted in stop motion with creatures made of clay, in a forest of cut out paper. George & Me 2, 10 x 2 mins, Attitude Pictures for HEIHEI, up to $160,000 A hybrid live-action / animated series about friends who embark on adventures about the human body. Māia The Brave 3, 20 x 10 mins, Pickled Possum Productions for HEIHEI, up to $498,852 A live-action / animated series that empowers 3 to 7 year old viewers with information and tools to overcome tricky body situations. Tales Of The Moana – The Enchanted Ocean, 10 x 4 mins, Tikilounge Productions for HEIHEI, up to $173, 990 Animated series where Pasifika legends come to life, with humour and heart, in a very modern take on Pacific mythology. What Now 2019, 40 x 117 mins, Whitebait Productions for TVNZ 2 and HEIHEI, up to $3,253,000 An entertaining and informative live show, that builds strong, long lasting relationships with Kiwi kids. Young Ocean Explorers 2, 36 x 2 mins, Greenstone TV for HEIHEI, up to $201,556 Riley wants Kiwi kids to join her on a new journey – learning about the importance of Te Ao Māori in conserving NZ's seas and shore. Kitchen Science, 25 x 4 mins, Greenstone TV for HEIHEI, up to $278,094 An engaging mash-up of science and DIY, this series encourages kids to be curious and apply scientific methods to thinking and solving problems. Access Radio Wairarapa (Arrow FM) Relocation - Capital Funding, Access Radio Wairarapa Charitable Trust, up to $20,686. HEIHEI Captioning, Able, up to $150,000.